then you know (from now on) that you probably have to use the graph tool. You can show it by clicking on this button. This tool will draw graphs for you. Sometimes you have to fill in the function yourself. After keying in this function, press the enter key on you keyboard. You can now do the following things. 1: You draw another extra graph. 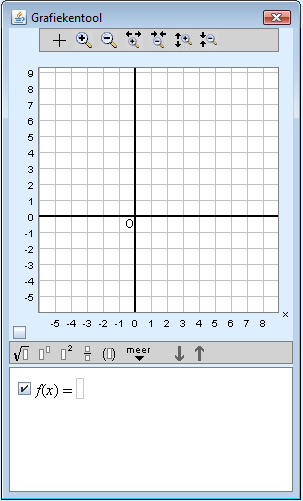 Once you have filled in function f (x), the -button will appear and clicking on it will put a line with g(x) underneath f (x). You can add more than one function. 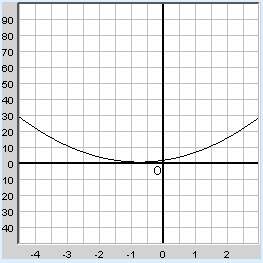 Remember to check the little box left of the function to draw the graph of that function. 2: You want to scroll/move the window view. You might not see the whole graph and move the window. 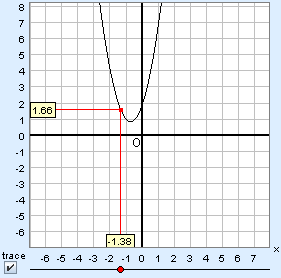 While clicking in the graph, move your mouse. To put the graph back to its original view, click on . 3: Zooming in or out. will zoom in the horizontal axis. will zoom out the horizontal axis. will zoom in the vertical axis. 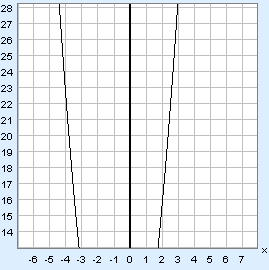 will zoom out the vertical axis. will zoom in both axes. will zoom out both axes. Check the box for 'trace': . 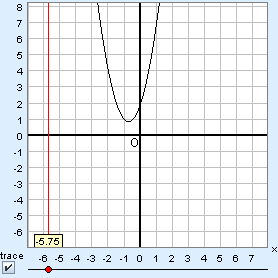 In that manner you can read off that when x = –1.38, y = 1.66.